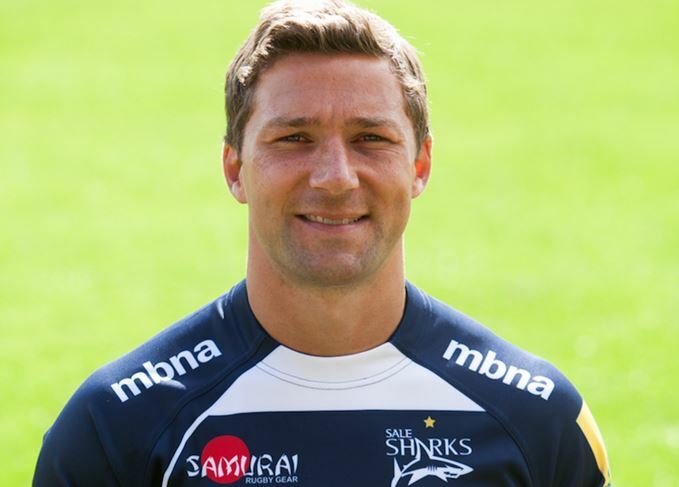 Former Scottish international scrum-half Chris Cusiter announced his retirement from professional rugby in early May, along with a dramatic change of career: moving to California to start a drinks retail business with a strong focus on Scotch whisky. He talks to Richard Woodard about his new-found passion. Aberdeen-born Chris Cusiter spent the first 18 years of his life living 15 miles from Glen Garioch distillery – but it took a move to Manchester and a trip to California to ignite his passion for Scotch whisky. Just one snag: this whisky epiphany coincided with a move south to join the Sale Sharks Aviva Premiership club in Manchester, leaving Cusiter a frustrating three hours from the nearest Scotch distillery. In other respects, though, his discovery of Scotch whisky was timely. In his early 30s and nearing the end of a career that included 70 caps for Scotland and one appearance for the British & Irish Lions (New Zealand, 2005), Cusiter was on the look-out for a new interest in life. ‘Two years ago I started to understand I was in the twilight years,’ he says. ‘After 30, it gets harder to physically stay up to the levels you need – there are the old injuries that never really go away, and I didn’t want to do one year too many. And, in other respects, he’s made up for lost time, visiting roughly 35 distilleries to date and planning a first trip to Islay (during Fèis Ìle) at the time of writing. ‘I visited Speyside last January and had an incredible time,’ he adds. Cusiter’s deepening knowledge of Scotch has to some extent governed his evolving tastes and preferences. Initially ‘fascinated’ by Islay and Lagavulin’s balance of smokiness and fruit, he then moved onto Speyside and, in particular, Glenfarclas and Aberlour (‘I couldn’t get enough of them’). But now, having belatedly discovered the joys of his homeland’s most famous liquid export, Cusiter, his wife and his one-year-old daughter are planning to move more than 5,000 miles away to California in June this year. Scotch, however, will go with them: Cusiter is involved in setting up a drinks retail business in Los Angeles with a strong focus on whisky. The project is still in its early stages, but there are plans for a tasting room, collaborations with distilleries on special bottlings, relationship-building with brand ambassadors… ‘Spreading the gospel of Scotch whisky in Los Angeles,’ as Cusiter puts it. ‘It really comes out of a desire for me, my wife and family to live in California and to have an adventure,’ he explains. ‘The challenge of moving on from professional sport into business is not so simple – I have friends who’ve done it and it can be tricky. Cusiter’s involvement in rugby might just continue too. Starting from April this year, the US has its own professional league, PRO Rugby, with five teams, including one based in San Diego, and ex-international players including Italy’s Mirco Bergamasco and former All Black Mils Muliaina. Cusiter is clearly tempted. ‘I’d like to keep my hand in at some point,’ he admits. ‘Maybe in a year or two once we’re settled.’ Also on the radar are regular trips back to Scotland, where a private passion is now becoming a serious professional interest, with plenty more distilleries to tick off the Cusiter wish list. As for Glen Garioch, he finally visited his ‘local’ distillery about six months ago. The Scottish international scrum-half is to set up a Scotch-focused retail business in the US. Looking back at this year’s sun-filled festival – the good, the bad and the downright odd. Away from the distillery days, Fèis offers an array of tastings, masterclasses and charity events.